As a Realtor who has been heavily involved closing Massachusetts short sales over the last five years, one of the questions that I get asked quite often from home sellers is how long will it take before I will be able to buy a home again. The answer to this question does not have any clear cut and dry answer. There are quite a few variables involved when trying to figure out when someone will be able to purchase a home after a foreclosure or short sale. Going through either a short sale or a foreclosure has the potential to seriously impact ones credit. Government entities Fannie Mae, Freddie Mac and FHA do not directly loan money to individuals but are the governing body that work with lenders to guarantee loans and free up money to provide mortgages. Banks typically have the authority to lend to whoever they want but will generally follow the guidelines set forth by these entities. There are some lenders of course that will take greater risks with some borrowers than others. 3 year wait if the borrower can show extenuating circumstances. Additional underwriting requirements apply for 4 years after a 3 year waiting period. ** As a side note a deed in lieu of foreclosure follows the same guidelines as FHA’s foreclosure policy, the same as Fannie Mae and Freddie Macs short sale policy. When analyzing the difference between completing a short sale or going through a foreclosure in regards to purchasing another property in the future it boils down to the waiting time which is more favorable in a short sale. The other question that I get from folks considering a short sale is how it will impact their credit. There is a lot of misleading information that come from Realtors, as well as online forums about the impact on credit scores. On many occasions you will hear that a short sale is far better for your credit than getting foreclosed on. This is incorrect! A credit score in a short sale or a foreclosure have the potential to be about the same. Maybe marginally better in a short sale. According to Fair Issac (My FICO) a company that provides analytic, decision making, and credit scoring services for financial service companies a credit score will go down by 40 to 110 points after being 30 days late. Further, the scoring drop will increase to 70 to 135 points after 90 days late on a mortgage payment. What happens to your credit score in each of these events could be different than someone else who goes through the same financial event. Unfortunately, most of the time the higher the credit score the greater the decrease from where you started. When trying to decide whether a short sale is right for you don’t be fooled into making the decision under false hopes that your credit will not be impacted all that much. The biggest advantage in a short sale is the shortened time frame in which you will be able to purchase a home in the future. One of the most important steps after going through either a short sale or foreclosure is to be conscious about trying to improve your credit standing. Here are some excellent tips on how to increase a credit score. *** The above information for waiting periods before buying a home after completing a short sale and foreclosure was sourced by the Fannie Mae and Freddie Mac selling guides along with the FHA handbook. If you are need to short sale your home or condo in Ashland, Bellingham, Framingham, Franklin, Grafton, Holden, Holliston, Hopedale, Hopkinton, Medway, Mendon, Millbury, Milford, Southboro, Westboro, Natick, Northboro, Northbridge, Whitinsville, Upton, Uxbridge, Shrewsbury, or Worcester get in touch! I would love to interview for the chance to represent your best interests. About the author: The above Real Estate information on buying a home after short sale or foreclosure was provided by Bill Gassett, a Nationally recognized leader in his field. Bill can be reached via email at billgassett@remaxexec.com or by phone at 508-435-5356. Bill has helped people move in and out of many Metrowest towns for the last 25+ Years. Bill, great information as always. I think many people do have a misconception that a short sale won’t hurt your credit score as much as a foreclosure would, and I’m glad you addressed that here. I think it is promising that someone could be eligible to buy a home after only 2 years. Bill, Excellent article keeping sellers informed about the consequences of a short sale vs a foreclosure vs a deed in lieu. Dan and Terry – Thanks for your compliments on my article. The question of when a borrower can get another loan after a short sale or foreclosure is one I hear quite often. I figured it was about time I put something together covering this topic! Thanks for the update, Bill. As always, a pleasure to read your informative articles on short sales. Interesting what you shared about the credit score being affected almost similarly by both foreclosure or short sale. I didn’t know that. I appreciated your article. I’ve been trying to learn about short sales lately and I found this great short sale calculator that I thought I’d share as well for anyone who is interested. Keep the articles coming. Thanks! Jane there is a lot of misinformation that is given out when comparing the credit hit of a short sale to a foreclosure. They are very similar. The benefit of a short sale is the fact you can usually buy a home again in a shorter period of time. In other words you can get a mortgage quicker after a short sale than a foreclosure. Bill – you are such a valuable asset to your short sale sellers and future short sale sellers with all your articles you have written. Bad credit can be repaired over time, folks just have work diligently. Bill, I am currently handling two short sales of my own, and your information, as always, has proven very helpful. Thanks and keep up the great work! Excellent short sale article, I’ve never seen this info in concise form with an explanation before. Great work! I appreciate it. Thanks Bob. There are a lot of misconceptions that are floating around when it comes to being able to get a mortgage after a short sale or foreclosure. I figured it would be great to have a nice reference for consumers to have a better understanding of some of the credit issues with short sales. Thanks for the great information about buying a home after short sale or foreclosure. It’s a tricky thing to understand the different guidelines and it’s just as tricky finding the lender who will take on more risk than the others. Bill this is such an important post for consumers, and so timely. More and more this is a reality many have to confront. This article is very informative. As a real estate attorney who deals with a fair share of short sales, I can attest to the fact that there are many myths out there. Working through a short sale can be a real roller coaster ride for the seller, buyer, real estate agents and attorneys. It is important to be patient and persistent throughout the process. No doubt Charles! There is a lot of work for all those involved to make sure a short sale goes smoothly and actually gets to the closing table. Educating the client upfront is key to having a successful transaction. Holy Cow there is a lot of good information here! You could read twenty blog posts on the subject of short sales, foreclosures, and credit without getting the detailed – and accurate – information you have here. Excellent job. Now write about how we can fix the economy and put folks back to work and our problems will be over! Excellent blogs! As prior posts have said you have a great talent for finding the detail and making it understandable . I greatly appreciate the insights and information. Hi Marilyn – I appreciate the compliments on my Massachusetts Real Estate blog! Thanks for stopping by. Bill do you know an fha lender who will do an fha loan in arizona 2 years after a short sale with no mortgage default? Christine I can’t say I know any lenders in Arizona but you should be able to find a lender that will do this loan as described. Bill – As usual, great information ! These questions come up all the time for sellers in this situation. Will retweet this ! I see that you mention that one can purchase right away after doing a short sale? What is considered right away? Has never been late on any payments whatsoever. Would like to purchase with a fha loan after the completion of a short sale in Maryland. Are there any fha lenders in maryland that you can refer. Hi Bill – What are your thoughts on people who have gone through either a short sale or a foreclosure opting for seller financing and or rent to own as alternatives to bank loans? Leroy seller financing is always a great alternative after going through a short sale if you can find a seller who will offer that! I got a question for you, I’m currently going through a short sale and it’s taken about 5 months to get where I’m at today. All we are waiting on now is for the Mortgage Insurance to approve the sale. However, we were required to be 31 days late on our Mortgage before the mortgage company would approve the short sale. So we are currently delinquent 31+ days. My question is, after 30 more days should I pay the old delinquent mortgage so that we don’t extend to 60+ days late? If I time it just right I’m thinking we can stay 31 days late and everything will be okay. But, if this will effect my credit score the same as not paying the mortgage until the short sale is completed, then I’ll go ahead and move out of the home this weekend. Let me know your thoughts, I really appreciate it! George this is a really tough question to answer because their are really no rules in short sales. What may be the right thing to do with one lender/investor may not be the same with another. Theoretically you could be correct in timing the mortgage payment. Each time you are 30 days late it does further effect your credit. Bill, I sold my home short about 22 months ago and was in the process of looking to buy again. I have no mortgage lates and a decent (700) credit score. I applied for financing at a couple of different lenders to see what could be done. I was told I got an approved/eligible in the automated system to go FHA 3.5% down and purchased a home. Two weeks later I was told it was rejected by underwriting because my Short was on an FHA loan and done under the pre-foreclosure sale program, which I find odd because I was current. the only reason I had to sell was due to divorce and neither one could afford it on their own. Do I have any hope?? Isn’t divorce considered extenuating circumstance? Are there portfolio lenders that would hold the paper on something like this?? Any help would be appreciated. THANKS! Scott you would probably be best served by speaking with a portfolio lender in order to get a mortgage after your short sale. You do have hope so I would not give up on this. Very thorough Bill, I am going to post on this on my blog and will reference your post. Thanks Missy. Getting a mortgage after a short sale or foreclosure is one of the most common questions I get. Bill, we were in the process of a loan modification with Bof A which lasted more than 9 months of us sending, updating, resending every single document they wanted. Six weeks ago when we called again (every other week), they told us everything looked good and we would get their final offer in writing within two weeks. When 3 weeks went by and we didn’t receive anything, we called back and were told it was just a matter of days, that we would get their offer in the mail. Two weeks later we received not an offer, but a letter from BofA telling us they had sold our loan to Bank of New York!!! Now we are in limbo and when we tried to contact BofNY the person we talked to said the process would continue with them, but we haven’t received any communication since. What can we do? Martha welcome to the world of banking foolishness. This is the kind of crap that goes on all the time with lenders. There is a very low percentage of people that get approved for loan mods. The funny thing about is they will string people out forever all the while they lose money. It is absolutely crazy. The inmates run the asylum unfortunately. Very informative article. I just have a question. We are behind with our mortgage . I actually applied for modification and my lender said I was approved and to go for a 3 months trial period. Our monthly mortgage is $2941.00. Trial payment will be $2600/monthly. They did not tell me the catch after 3 months, all I know is 4 of my friends who went though this ending up short selling their house because after the trial period their lender start putting more money on the top of the trial payment for the next few months and saves them very little money. So I rejected their offer. I’m thinking if they put more money after 3 months and end up paying almost the same amount to my original payment, it think it’s not worth it. Mike this is a common thing you see in loan modifications. Often times after someone is either been rejected for a loan modification or have gotten past the trial period they end up short selling their property. Very informative short sale article Bill! I just saw your triple * and yes, I would deem those credible sources! You’ve done the legwork, thanks! I’ll look to those sources to answer my other question: Is the info still the same. Thanks! Hi Sandra – Yes I do not believe any of this short sale time lines have changed about getting a mortgage after a short sale or foreclosure since the article was published. Kudos for seriously addressing this issue but I have one question. I had a home (primary) for 2 years and then moved to another state for a new position. I couldn’t rent and short sale fell through. I purchased a new home (Current and never late) and kept paying on my old home upwards to 2 years and finally had to foreclose: BofA lost my paperwork twice and we couldn’t close the deal. The home was VA backed and basically the banks lost no money as the sale was close to my amount owed. Is the waiting period 2 or 3 years on VA. Besides this silly foreclosure my credit is solid pay and fica at 690. So I no longer have my VA loan certificate and would need to pay 32k to get it back? I’m looking at a 300k home in Phoenix with debt to income below 25% with new home loan if available for financing. Would you know any info for VA foreclosures and the time line on purchasing after that closure? John I would check with a mortgage professional but you are probably looking at the guidelines under a foreclosure. Chris – If you are going to purchase another home with cash there will never be a problem with that. My husband has been out of a job for 3 years. And, I dont’ make the same kind of money that he made. So, our income went down significantly. My inlaws were helping us. They don’t want to pay anymore. So, we decided to sell our house. The realtor told us we should consider a short sale if it falls that way. We have been making payments up to this point. Should I speak with lender now as we list or wait till we get a buyer? Trisha it is never a bad idea to call the lender to let them know your intentions of short selling the property. Of course we prefer not to go that way if we can get a buyer to purchase the price which include the mortgage and any out of pocket. But, I guess we want to be prepared in case the listing or the offers come in under the mortgage amount. I thought banks don’t want to hear anything until you get a buyer? Trisha you can inform them of your intentions but if you didn’t it is not the end of the world either. What you really should be thinking about is who is going to represent you in completing the short sale. This above all else is what is the most important consideration when short selling a home. We recently short sold our home of 5 years back in June of this year (mainly due to growth in family size, home too small). We were current on our payments until April (because we were told FHA would not short unless we were behind on at least one payment), and the close date was set for end of may and ended up getting extended til mid June and we closed June 15th. Our credit was perfect except for this short sale and we figured it would be a year or two to buy since we were only “60 days” late at time of closing. Today I checked my credit report and my scores are 727, 732, 732 ….. which surprised me. However the FHA mortgage is showing that it was 120 days late into July, but it was closed, and paid in full, no mention of short sale. Does this mean FHA entered it in wrong? Should I dispute the last month and a half of claimed late payments? Or is this a standard amount? How soon can I buy again? Debt ratio is low, and income is much higher than before? I would love to own again, and say goodbye to renting. Drew it sounds like there was a mistake that is possibly in your favor. While you were marked as 120 days late there was nothing mentioned about selling short which is very big for you! Hi bill. There has been a foreclosure on my credit report for 3 years now and I would like to purchase another home. I lost my job in 2007. ( got layed off). I checked my credit score the other day and it was 690 which was decent. My house actually was foreclosed in September of 2008. I have enough money to put down on a house (20 %) and wondering if I can buy again. I have been paying my rent and my credit card bills. Until I lost my job my credit was good. Colin – You will probably want to speak with a mortgage broker who see if there is any possibility. My best guess would be that it will be very difficult as there has not been enough time between now and when your foreclosure took place. As a general rule when you have a foreclosure on your record you are looking at 5 to 7 years before you can get another mortgage. Thank you for the wealth of information. I recently purchased a book on the subject of short sales and I’m learning more from your blog. Thank you. We are just beginning the short sale process. We are current and have to move for job relocation. We were hoping to stay current until completion of the short sale but we have a FHA loan and the guidelines state that the loan must be at least 30 days delinquent at the time of closing? I have heard of people staying current. Does this only happen with conventional loans or does the lender make the decision? Michelle thanks for the compliments on my short sale articles. You are correct in that FHA wants you to be delinquent as crazy as that sounds. There are some lenders that also operate this way as well. It is the crazy unpredictable nature of short sales. Thanks for such a well organized article. Are the waiting periods on most of these, but particularly the FHA rules, calculated for times of offers or times of closings? That is, can I make an offer in February and close in March if my time period is up March 1? George as a general rule they would be talking about after the closing on the short sale or foreclosure. Keep in mind, however these are not hard and fast timelines. They are ballpark figures on when you will be able to get a loan again. You mentioned in your article that the wait time to purchase again could be shortened with extenuating circumstances. What kind of circumstances would be considered? I have read that Fannie will allow a home purchase after a short sale IF the seller has had no delinquencies exceeding 30 days….as it stands now I have one reported 30 day. I was delinquent to get the ball rolling for relocation. I am aware that it is 2 year waiting, but seems Fannie now states that as long as you fall within no 60,90,120+ days delinquent you can actually get approved right after a short sale. True? Brandi I am not aware of being able to purchase again immediately after having gone through a short sale with Fannie Mae. Joe an extenuating circumstance could be a loss of job. We have lenders that will allow you to purchase a home after short sale right away if you were not delinquent on the mortgage during the short sale process and the short sale didn’t have an FHA loan. We can get you an FHA mortgage after short sale in California with 3.5% down after short sale. Give us a call. Im thinking about doing a short sale on my home, i am current on all payments and plan on being current throughout the short sale process. I have good credit and i was wondering if im current with no deliquencies will it negatively affect my credit. Also, would i qualify for a loan again within an year being im no delquient. My current lian is with FreddyMac. Shelia it may effect your credit if the lender reports it to the credit agencies. It will certainly not effect you anywhere near as much if you missed mortgage payments as this is where the greatest credit hit comes from. Enjoyed your article Bill. Agents that are knowledgeable and well versed in short sales are hard to come by! I too am asked the same questions on a daily basis. While I try to be as honest and forthcoming with information as I can, each short sale is unique, even if the circumstances are similar. There are a ton of variables that come into play that can effect the outcome of your short sale. The best advice I can give any homeowner is to do your research and take the time to find a well educated agent. Many agents now days are working with third party companies to assists with the processing of their short sales, simply due to the fact that they’re time consuming and they’re able to assist more homeowners this way. Can someone help me get an answer? I’ve been trying to sell my current home for what I owe, which is $12 more than the fmv. I havent had any luck in 2 yrs.. So a realtor suggested that I do a short sale on my Fannie Mae loan. I have been pre approved for an FHA loan for a new home. I’m concerned that if I do a short sale I woould have a waiting period before I buy another home. Alisha if you go through with a short sale the likelihood is strong that you would not be able to get a loan for two to three years. Bill you always have very informative blogs, filled with great/valuable information. I’ll share /retweet this post with my friends and clients. Thank you. Thanks Claudia I appreciate the compliments on my short sale article. Thank you for all the precise information that you put on this blog Bill! I just tried buying a home that is in short sale… On the same day my contract was delivered to the Realtor I was told that the house was already put in foreclosure. Do you know what happens after a home is put in foreclosure? Meaning does the bank try to sell the home again and if yes how long does it take before it gets put on the market? Also does the price change as from the one that was listed on the short sale? Thank you for all your help! Hi George if the home is not bought at foreclosure then you will typically see the home put back on the market by a Realtor. 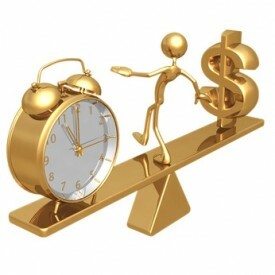 The price is often times different than what is was as a short sale. More often than not the price is less than when it was listed as a short sale. I had 5 foreclosures on investment properties 3 years ago. We still own our personal residence and have re-established credit. We want to know if we can now buy a home using FHA financing. None of the properties that we lost were government loans. We tried modification and everything else so as to not have them be foreclosed upon, but it didn’t happen. The prices are so low right now and we found a property we really like and our payments would be incredibly low. I appreciate your input. Thanks. Sele it is possible you could get and FHA loan. You will need to check with a mortgage broker. I had a forclosure on an investment property about a year ago. I have never been late on my primary residence mortgage. Other than the foreclosure, my credit it good. No lates etc. My wife and I want to sell and upgrade our primary residence. Mortgage Brokers have told me to wait 2-3 years… any chance of me doing anything sooner? Know of any companies that would finance me given the foreclosure history? Fred I do not know of any traditional lenders that would do a loan under the circumstances your describe although you may be able to get something from a private investor. I am sure the interest rate would be very high. That was good information short sale information, I had to wait 2 years before lenders talked to me! Bill, I have been divorced since 2006. I kept up with payments on my loan that was sold to a service company. I Never ever could I get a loan modification. The last straw was that they (service company) paid my taxes for 2011 and part of 2010 which cost about $3500.00. I was going to pay taxes when I got my refund in early 2011. Well they paid them and then wanted to get back 9 months. My mortgage payment went up double to $1390.00. I sold my house in a short sale because I could no longer afford it. I was disgusted when asking for a loan modification. Everything I was told was that if I lost my job the lender could help. Now I have to save money up again and re-establish credit. How long should I wait? I am renting right now. Linda it will typically take you 2 to 3 years before you will be able to buy a home again. You need to focus on making sure you are working towards increasing your credit score. My wife and I did a Short Sale on a home we owned two years ago and now that our credit is back over 700 we were looking to buy another home. The problem we have is we only have a 10% down payment for the homes we want to get into in our area. I know Fannie Mae lets you apply for a new home loan two years after a short sale with 20% down but I was wondering if there are any other options out there (e.g. 90/10 loan)? Hi Mike – You may want to try a local lender that portfolios their loans and do not sell them on the secondary market. According to this article – http://practicallist.com/real-estate-short-sale Fannie Mae will finance right after 2 years. But most individuals credit rating will probably be shot, that report will go into more details about that. Jack I have yet to see any Fannie Mae finance a short sale where the buyer was in default in two years. It is incorrect information. Bill, I wanted to take a second and say that you are one of the very few real estate agents that has correct information on this topic, which shows me what type of agent you are – one that I would use! There are two major factors when determining when you can purchase again after a short sale: 1) were you current on your monthly mortgage payments all the way up to transfer of title/deed? 2. 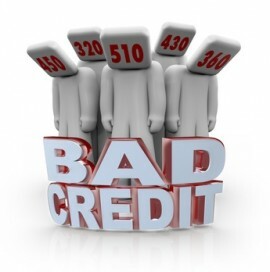 Is there a deficiency judgment reported on your credit report. The second may be an issue with a lot of lenders. Another thing I would like to point out is that if the prior foreclosed loan was an FHA mortgage, then you will have to find out when the FHA settled up. So just because it says three years out to purchase again with an FHA loan (2 yr on VA) after a foreclosure, the three years isn’t when you moved out… it is when the FHA settled up. And on a prior short sale with a VA loan, make sure the veteran finds out how much their entitlement is remaining. I bring this up because the VA took a loss on the short sale and they can/will reduce the veterans entitlement.. Again, thanks for the great info! Thanks Joe for your comments/compliments on when you can purchase a home again after a short sale or foreclosure. Getting a good loan officer and lender that walks you through the process really helps. They can help build a plan to start as soon as the foreclosure or short sales ends to get you going in the right direction. Very true Craig! One of the things I always do with anyone looking for help is to get them in touch with my mortgage broker who I have been using for years. You can never start planning too early after going through a foreclosure or short sale.